Dr Amin Kol is a Sydney local whose career goal was always to do something to help people. 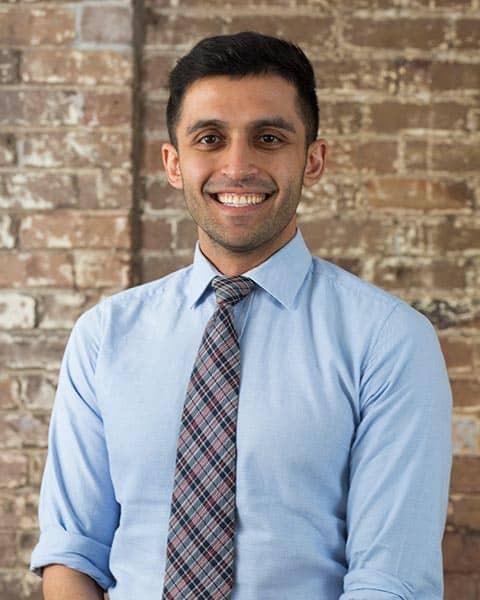 After graduating as DUX of Epping Boys High School and recipient of the Premier’s Award for academic excellence, he obtained his Bachelor of Dental Science with first Class Honours from the University of Melbourne in 2010. After serving the rural communities and beautiful surrounds of Northern Rivers of NSW and Byron Bay region, he completed a mini residency implant program in the Northern Rivers specialising in Dentofacial Cosmetics (Australasian Association of Dentofacial Aesthetics). Since moving back to Sydney, Amin is now providing his services to the city where it all began. He has since completed programs in Digital Smile Design, Computer-Assited design and Manufacturing in Dentistry, Laser Dentistry, Clear Braces, Invisalign and much more. Amin is a firm believer in the future of dentistry where both patients and clinicians can benefit from the many technological advancements available to the profession. Beyond his clinical and academic achievements, patients mostly know Dr. Kol for his caring nature and friendly personality. He can make even the most tense of dental patients relax while in his chair. Each treatment plan is custom tailored to individual patient’s needs, whether in chair or under Intravenous sedation (Sleep Dentistry). Throughout his career, Dr. Kol has been committed both to educating the public about the world of dentistry & to giving back to the community. He has worked with partners and communities in rural NSW, Fiji, Mauritius and Vanuatu by providing free treatment and oral health awareness programs. His personal fitness regime includes a strict, healthy diet and outdoor activities that include surfing, kite surfing, skiing, skydiving & scuba diving.